With the seasonal shift into Spring bringing warmer weather, I can&apos;t help but be excited to know the even warmer temps of Summer are just around the corner. And with Summer means longer days and lots of outdoor activities to enjoy with family and friends. 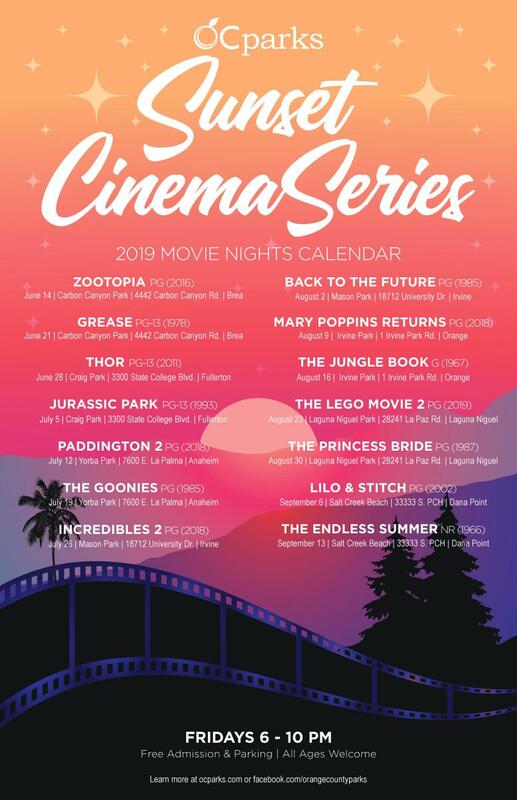 Take full advantage of all that the OC Parks (including a handful of our favorite Irvine parks) has to offer this summer by attending a concert or sunset cinema event! Celebrate summertime outdoors with 10 free concerts + 14 free movie screenings at OC Parks June 14 – September 13. Top artists performing throughout summer include Big Bad Voodoo Daddy, The English Beat, The White Buffalo, and Lit. OC Parks Summer Concert Series returns with 10 free outdoor concerts Thursday evenings, June 20 – August 29 from 5 – 8 p.m. Enjoy live music under the summer sky at Craig Regional Park, Mason Regional Park, Irvine Regional Park, Mile Square Regional Park and Bluff Park at Salt Creek Beach. 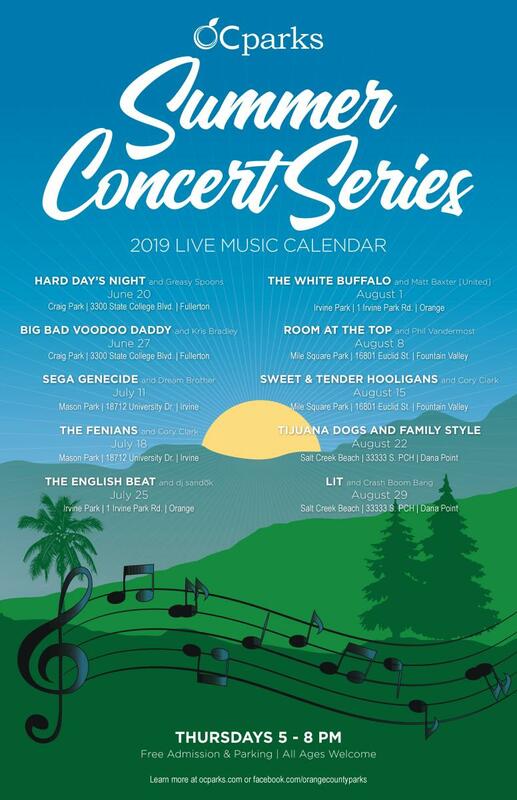 The concert series kicks off with Hard Day’s Night on June 20 at Craig Regional Park in Fullerton, followed by popular local and national artists including Big Bad Voodoo Daddy, Sega Genecide, The Fenians, The English Beat, The White Buffalo, Room at the Top, Sweet & Tender Hooligans, Tijuana Dogs, and Family Style. 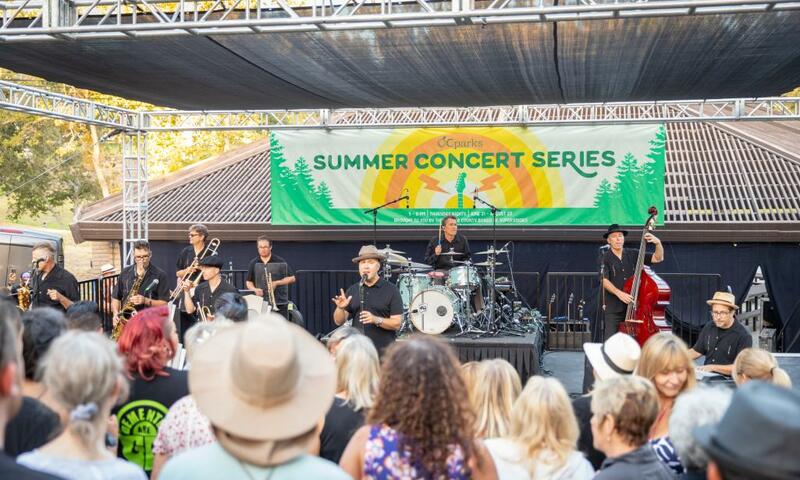 Lit, an American rock band from Orange County best known for the song "My Own Worst Enemy" will close out the 2019 OC Parks Summer Concert Series with a free show appealing to both rock and country fans at Bluff Park at Salt Creek Beach. OC Parks Summer Concert Series Thursday nights, 5 p.m.
OC Parks Sunset Cinema Movie Series Friday nights, 6 p.m.